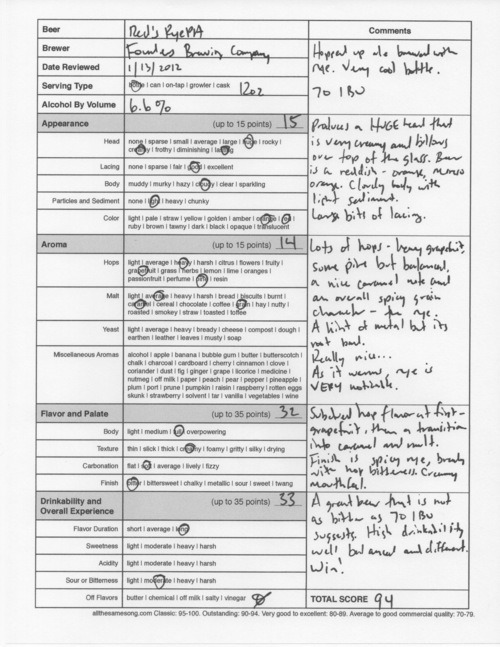 Less than a month ago, I reviewed Founders Breakfast Stout, a beer that scored a perfect 100 points on my rating scale. It was a classic beer, and became only the second beer to receive a perfect score on this website. 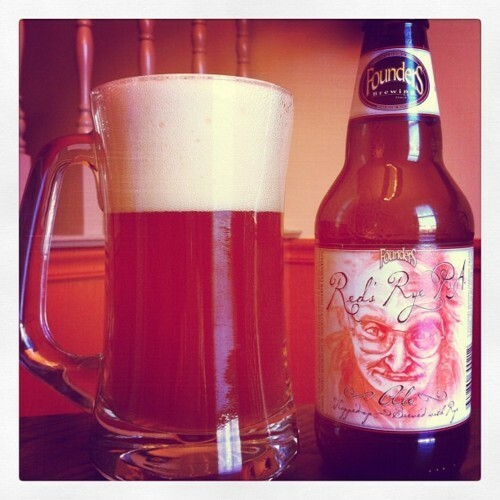 Today, I’m sampling another offering from Founders, their Red’s Rye PA. Founders Brewing Company is based in the wonderful city of Grand Rapids, Michigan. I’ve actually been to Grand Rapids and I found it to be much like my little town here in North Carolina — sadly, at the time of my visit, I was just getting into craft beer and Founders had yet to cross my radar. Started in 1997 by Mike Stevens and Dave Engbers, Founders began with some good but rather boring beers. But the edge quickly came, and the two men started brewing beer that they wanted to drink, and not something that would surely be popular with the masses. As such, Founders produces some world class beers. That tends to happen when you stick to your creative guns. Red’s Rye PA is described as a “hopped-up ale brewed with rye.” This beer is dry hopped with Amarillo, and features four different types of Belgian caramel malts. There’s considerable bitterness to be found in the drink; this one comes in at 70 IBU (International Bitterness Units) and has an alcohol by volume of 6.6%. This is a year-round serving from Founders, available in six packs. Release from bottle produced a huge, massive head that was so creamy in texture that it held together and billowed over top of the glass. 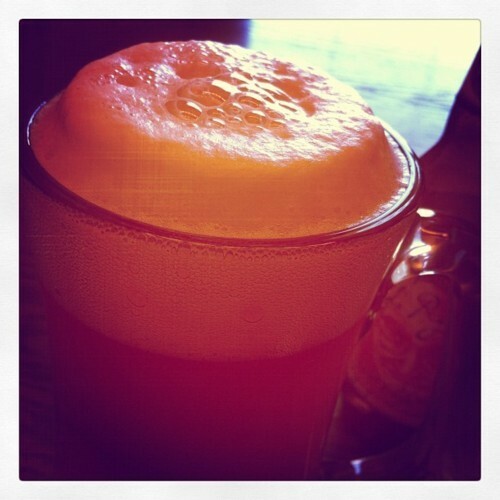 The beer was a reddish-orange color, more orange, but with gorgeous red highlights when held to light. 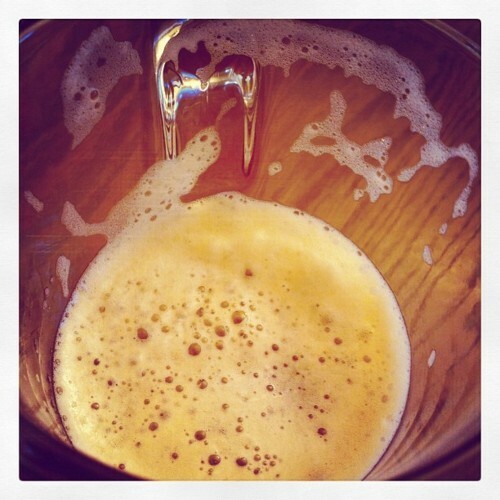 The body was cloudy (all Founders beer is unfiltered) with a light sediment present. Lacing was good on this one, with large patches left attached to the glass. The aromatics featured lots of hops — there was a heavy grapefruit aroma, and some pine, but it was balanced well with a nice caramel note and some spicy grains as provided by the rye. I detected a faint hint of metal, but nothing that caused the aroma to become offensive. As the drink warmed, the rye aspect became more and more noticeable, but the scent was always hop forward. On the palate, the hops come out first with some bitter grapefruit, then a slow transition into the caramel and general maltiness. The finish is spicy with the rye coming forward, some bread notes, and everything is rounded out with a nice hop bitterness. For 70 IBU, this one is nowhere near as bitter as you might think. 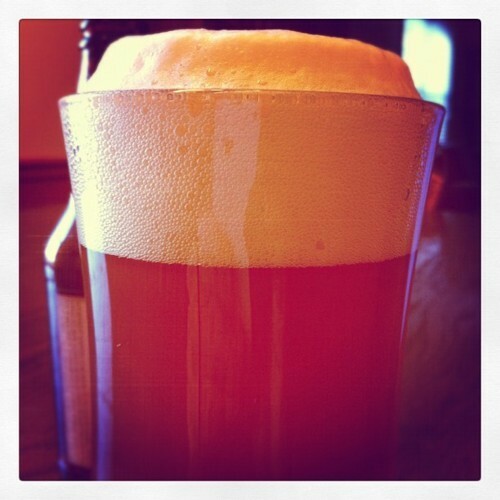 Red’s Rye PA is an outstanding beer with a high drinkability — my glass quickly became empty and I wanted another. This beer is well balanced and with the rye, adds that something different you seek out upon the debut try of something, especially beer. This is a winner. If you can find it, pick it up; I imagine you’ll be wanting to session it! Founders Red’s Rye PA, 94 points. Price: $1.99 US for one twelve ounce bottle.